Black Library Live – Get your tickets! For those of you who are interested in meeting and chatting with those involved in BL Publishing, or just wanting to get a chance to see the authors whose books you read daily, this is your chance. 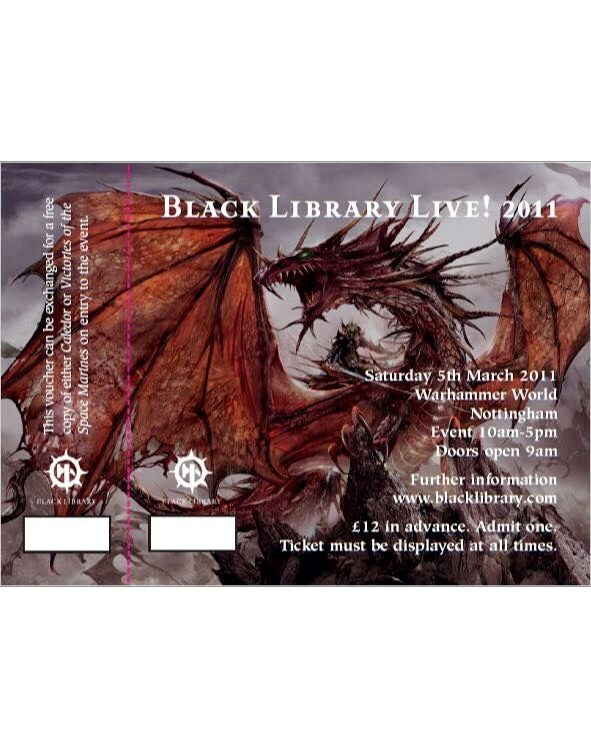 Just shy of 160 tickets are left for Black Library Live! 2011, set to take place on Saturday, March 5th at Warhammer World in Nottingham. Tickets are selling for 12GBP, so make sure you get yours! There are still tickets left! This year you have your choice an advanced copy of either Caledor or Victories of the Space Marines.